Proud member of the Austin Board of Realtors. The Austin Board of REALTORS® brings members quality MLS service, legislative representation, educational offerings and networking opportunities. 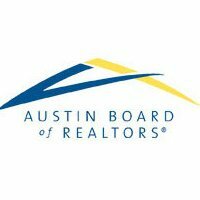 The Austin Board of REALTORS® (ABoR) was founded in 1926 and has since grown into an organization with over 8,600 active members. We have learned a lot since those early days and now provide our members with the best business resources available. ABoR supports Central Texas real estate professionals with outstanding legislative representation, education, industry-related products and networking opportunities without regularly increasing member dues. Our Member Listing Service (MLS) is one of the most useful assets to our members. Initiated in 1952, our MLS content is managed by the Austin/Central Texas Realty Information Service (ACTRIS), a wholly-owned subsidiary of ABoR. We aim to promote our REALTORS® and keep a positive image for the profession. For example, our consumer website, Austinhomesearch.com, allows homebuyers to easily search for Austin-area properties and REALTORS®. Established in 1998, Austinhomesearch.com continues to be a valuable resource for both our REALTORS® and their consumers. REALTORS® are some of the hardest working professionals and we constantly seek new ways to work harder for them. We collaborate with advertisers and media outlets to effectively promote our members, their listings and the real estate profession. We are shaped by our members’ input, Board of Directors and volunteer committees as we aim to relentlessly evolve to best serve our members’ needs.